The Chilean Fjords are a set of islands that are on the south western area of Chile. It is through these fjords that the Straits of Magellan pass. The landscape here is reminiscent of the Norwegian fjords but with a very different flora and fauna. This part of the country is exceptionally beautiful with lakes, snow-capped volcanoes, dense forests and thermal springs. The most exciting way to explore the fjords South of Puerto Montt is by cruise ship or cargo boat. The Chilean Fjords are a set of islands that are on the southwestern portion of Chile. Pretty much the most southerly mainland port of South America, gaze out over the Magellan Strait and look upon a viewpoint enjoyed by adventurers and explorers alike. The Falkland Islands are an archipelago in the South Atlantic Ocean, located about 250 nautical miles (460 km; 290 mi) from the coast of mainland South America. The archipelago, consisting of East Falkland, West Falkland and 776 lesser islands, is a self-governing British Overseas Territory. The capital, Stanley, is on East Falkland. Puerto Madryn is a city in the province of Chubut in the Argentine Patagonia. Check out Independence Square, the focal hub of the compact Uruguayan capital of Montevideo. With a bustlin main boulevard, lined with shops and cafes, take time to explore. Buenos Aires is the capital of Argentina, located in the South American continent. It is one of the largest cities in Latin America, with a lot of cultural offerings, and is the point of departure for travelling to the rest of the country. Thank you Iglu and HAL and all hotels and transfer's the trip was a fantastic experience. AWESOME is a word that these days is used all to frequently however in this case it is most appropriate. The captain of Zaandam sailed 20 miles off cause to sail by an Ice berg we tendered in the Falklands on remembrance Sunday and treated to a service and parade on a lovely sunny day that will live in our memory's for ever. 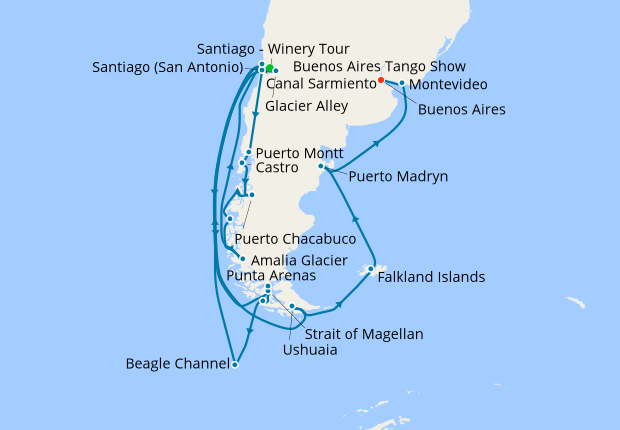 All the ports were Iconic and rounding cape horn to eventually cruise to see a Glaser. 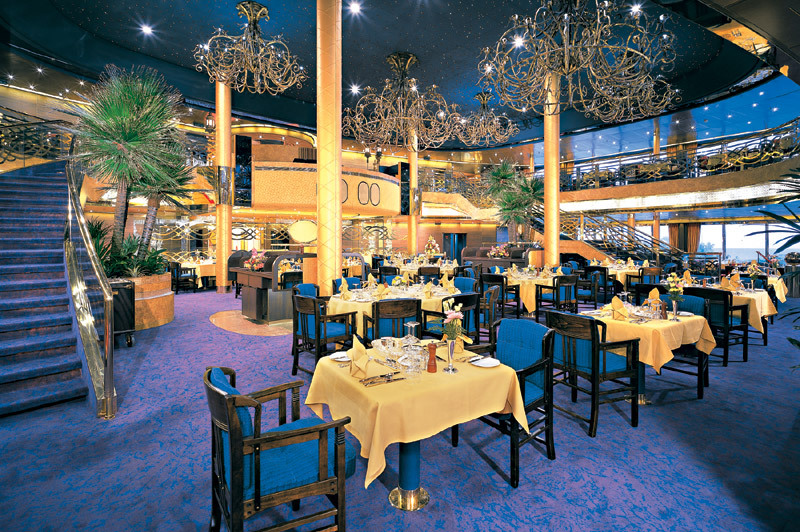 Once again our most grateful thanks for the best cruise ever and our 32nd so we have many comparisons.